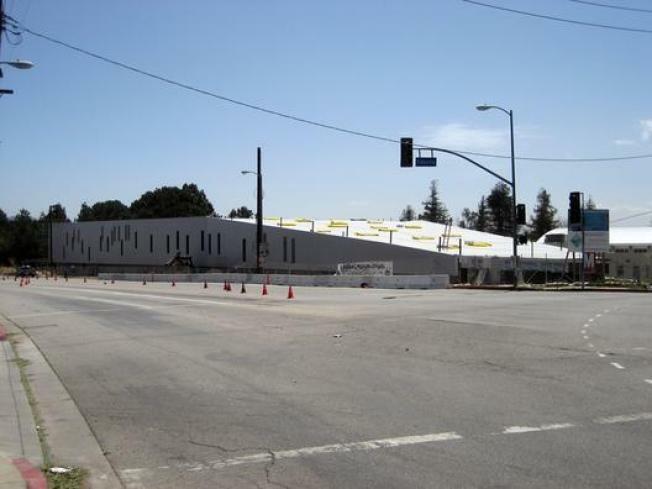 The Daily News reports that the pressure is on to find more funding -- and some sort of use -- for the bankrupt shell of a building that is the planned Children's Museum in Lake View Terrace. Needing an additional $27 million to open, the museum filed for bankruptcy protection in April after months and months of drama involving damaging audits and shady investors. "Now city officials say the clock is ticking on $15 million in bond money and local and state grants that would vanish if the site were used for anything but a children's museum." According to the paper, Councilman Richard Alarcon hosted his holiday party at the museum, which is also being currently used for (what else?) film shoots. If it fails to become a museum, some neighbors have some ideas on what to do with the AGPS Architecture-designed structure, and have suggested uses ranging from a roller rink to an ice rink.